North Carolina is fortunate to have many successful partnerships that are engaged in conservation planning. Whether statewide, regional, or local, these planning efforts contribute greatly to maintaining the state's network of open space. More than 50 local, regional and state groups have conservation land use planning efforts underway. Brief descriptions of the work being done by many of these groups is included here. The Conservation Trust for North Carolina is a nonprofit conservation organization that works with governments, agencies, local land trusts, and other conservation groups to save the places you love in North Carolina. CTNC provides aid and services to the state’s 24 local land trusts and works directly with willing landowners to protect their property, mainly along the Blue Ridge Parkway. NOTE: Each of the local land trusts can be located through this main website. The Green Growth Toolbox is a technical assistance tool designed to provide communities, local governments, land use planners, planning boards, and developers with data and recommendations for conservation of priority wildlife habitats that can be used in local land use planning, land use policy-making, and development design. The Green Growth Toolbox includes a handbook, GIS dataset, and website, and local governments who want to use the Green Growth Toolbox can sign up for daylong training workshops. The Green Growth Toolbox project includes data from the One NC Naturally Conservation Planning Tool and is a cooperative, non-regulatory effort led by the Wildlife Diversity Program of the N.C. Wildlife Resources Commission. Hometown Strong is an unprecedented initiative that restructures state government’s approach to addressing the needs of North Carolina’s rural communities. Hometown Strong creates a partnership between state agencies and local leaders to champion rural communities. The effort will leverage state and local resources, identify ongoing projects and community needs, and implement focused plans to boost the economy, improve infrastructure, and strengthen North Carolina’s hometowns. The Mountains-to-Sea Trail of North Carolina is a 935+ mile trail of footpaths, roads and state bike routes. This trail started in 1973 when the North Carolina General Assembly passed the North Carolina Trails System Act. The State Trails Program within the N.C. Division of Parks and Recreation plans and coordinates the development of the Mountains-to-Sea State Trail. The Friends of the Mountains-to-Sea Trail is a nonprofit organization designed to make the vision of the Mountains-to-Sea Trail a reality, through completion and long-term stewardship of a 1,000 mile trail spanning North Carolina's diverse cultural and natural features from Clingmans Dome in the Great Smoky Mountains National Park to Jockey's Ridge State Park on the Atlantic Coast. 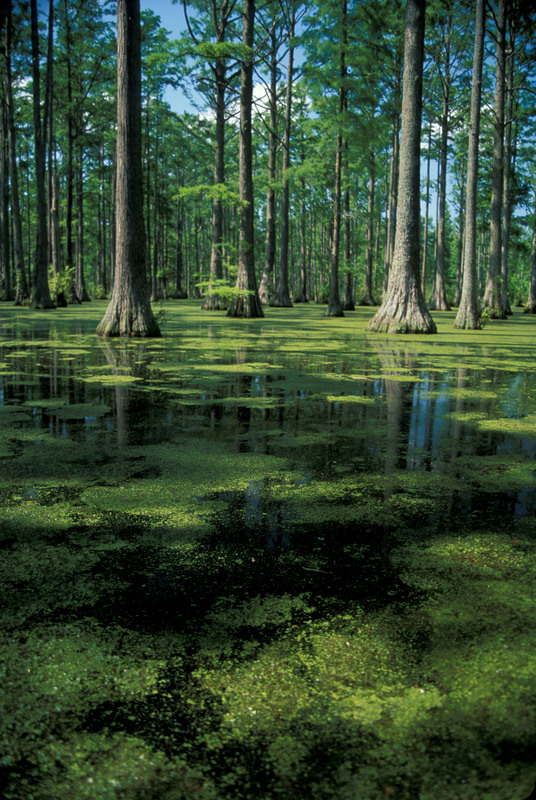 NC Forever helps lawmakers and executive branch leaders understand the importance of protecting our natural resources. NC Forever partners work together to encourage specific, agreed-upon funding and related policy initiatives that protect and enhance North Carolina’s lands and waters. NC Forever also seeks to maintain a level of visibility throughout the North Carolina natural resources community through speaking engagements and board meetings. In addition, the organization facilitates annual events, including a state budget briefing, legislative reception, and an event to honor an individual for special contributions to conservation and protection of North Carolina’s natural resources. The Cape Fear Arch, which includes the watersheds of the lower Cape Fear and the Waccamaw Rivers, encompasses one of the most biologically diverse areas on the Atlantic Coast. Like so many areas along the coast, this area is under great development pressure, creating an ever-increasing demand for supporting infrastructure, which eliminates habitat for important wildlife species. Several interested conservation partners began collaboration in 2006 with a mission to develop a community conservation vision that provides protection and stewardship of important natural resources and raises conservation awareness. The Onslow Bight Conservation Forum has among its goals "to promote the conservation, restoration, health and sustainable use of the landscape and the native terrestrial and aquatic communities that depend, in whole or in part, on the lands and waters of the Onslow Bight area." The Onslow Bight, bounded on the north by Cape Lookout and on the South by Cape Fear, contains a unique landform of saltwater marshes, riverine wetlands, pocosins, longleaf pine savannahs, and other coastal ecosystems. 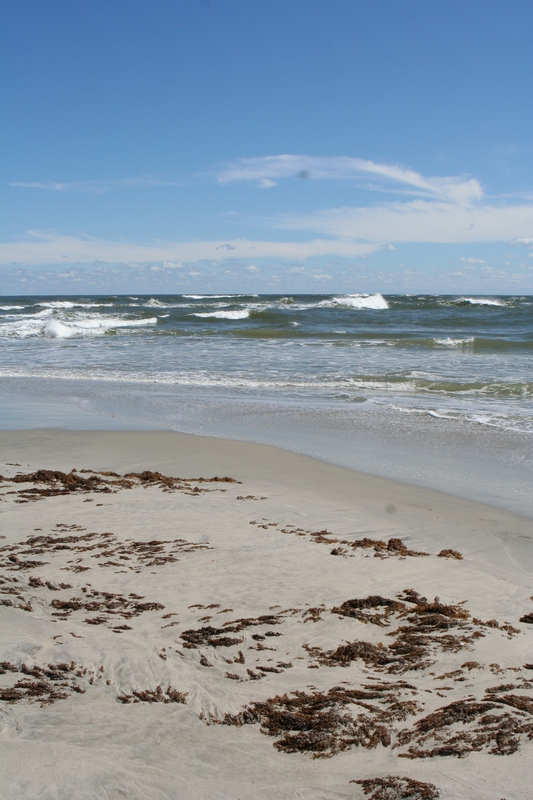 It also includes several large protected areas such as Cape Lejeune and Croatan National Forest. With funding from the NC Military Support Act grant program and additional resources provided by Marine Corps Installations East and the Office of the Secretary of Defense, the Strategic Lands Inventory project is developing compatible resource-use suitability maps for six land use types: residential, commercial, industrial, sustainable farmland, sustainable forestland, and natural resources. The Inventory will use a developed geographic information systems decision tool to visualize state, local, and military mission “footprints” and requirements. Based on modeling developed originally for the Sustainable Sandhills region, the SLI will focus on Eastern North Carolina and eventually include 42 counties. Catawba Lands Conservancy, lead agency for the Carolina Thread Trail, and The Trust for Public Land have partnered to spearhead planning and implementation of the Carolina Thread Trail. The Carolina Thread Trail will be a regional trail network that will eventually reach 15 counties (Anson, Cabarrus, Catawba, Cherokee, Cleveland, Gaston, Iredell, Lincoln, Mecklenburg, Rowan, Stanly, and Union counties in North Carolina; Chester, Lancaster, and York counties in South Carolina) and more than 2 million people. While not every local trail will be part of the Carolina Thread Trail system, it will link the regionally significant trails and many regional attractions. The Chatham Conservation Partnership (CCP) consists of over 50 organizations and participants, including federal, state, and local government agencies, nonprofits, business owners, developers, farmers, and other landowners whose mission is to develop and implement strategies for a community conservation vision that builds awareness, protection, and stewardship of Chatham County’s natural resources. The CCP recently developed a Comprehensive Conservation Plan for Chatham County that serves as the state’s first countywide conservation plan. The conservation plan identifies and describes the county's important natural resources, and recommends strategies to guide the conservation of a sustaining network of natural areas, surface waters, working lands, and wildlife corridors. The plan also serves as an educational tool and can support funding for further conservation planning and conservation projects in the county. In addition to the plan documents, GIS data and an online mapping tool are available that allow the production of instructive maps and reports that can be used to evaluate the patterns, trends, and conservation values in Chatham County. The Greater Uwharries Conservation Partnership is working toward conservation in the Greater Uwharries region - a region of high biological diversity that supports nationally significant occurrences of plant and animal communities – and consists of thirteen partner organizations, including state and federal government agencies and conservation organizations. The mission of this partnership is to “work for the long-term conservation and enhancement of biological diversity and ecosystem sustainability throughout the Greater Uwharries landscape compatible with the land use, conservation, and management objectives of the participating organizations and agencies.” In addition to carrying forward their individual missions of conservation, the partners are currently collaborating on a conservation plan, including a map, for natural ecosystems in the Greater Uwharries. The North Carolina Sandhills Conservation Partnership was formed in 2000 with the specific intent to facilitate collaboration among various federal, state, and nonprofit conservation groups for the purpose of conserving the vanishing longleaf pine ecosystem and recovering the federally listed endangered red-cockaded woodpecker in the North Carolina Sandhills. In April 2000, Orange County enacted a comprehensive program for the acquisition and protection of highly important natural and cultural resource lands entitled the “Lands Legacy Program.” Leveraging local funds with state and federal dollars, and working with area conservation partners, the Lands Legacy Program has protected over 1800 acres to date – both via outright purchase and through donated or purchased conservation easements. 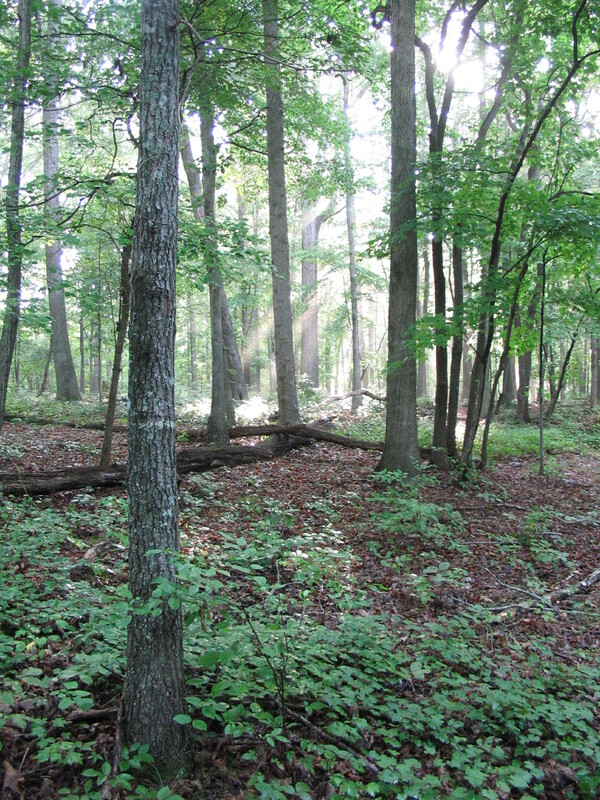 The Lands Legacy Program has five standing priority areas for acquisition: natural areas and wildlife habitat (NC Natural Heritage sites) and prime forest areas; prime or threatened farmlands; lands of cultural, archaeological or scenic significance; future parklands and watershed riparian buffer lands. The Piedmont Triad Regional Council promotes cooperation and collaboration among its local government members by coordinating planning activities among local, regional, state, and federal agencies. For more than four decades, the Regional Council planning staff has played an active role in leading and convening regional planning projects and programs. Piedmont Together also includes the Piedmont Authority for Regional Transportation (PART); this 12-county regional plan has three primary focus areas: the economy, the environment, and communities. When complete in 2014, the regional plan will provide tools and strategies to communities across the region that will help the Triad continue into the future as a prosperous, beautiful and friendly place. This project is made possible through the generous support of the U.S. Department of Housing and Urban Development, Office of Sustainable Communities. In the fall of 2005, Triangle J Council of Governments (TJCOG) partnered with the Conservation Trust for North Carolina (CTNC) and The Trust for Public Land (TPL) for the Upper Neuse Clean Water Initiative (UNCWI). This initiative sought to analyze and identify opportunities to protect lands critical to water quality and open space in the Upper Neuse River Basin of North Carolina. The UNCWI reflects a collaborative process among local stakeholders, technical experts, and scientists working together to create watershed goals for drinking water protection while maximizing regional ecological, economic, and recreational benefits. Wake County's Open Space Program, the first of its kind in North Carolina, is working in partnership with local non-governmental organizations, municipalities, and state/federal agencies to protect remaining open space in the county. The program's overarching objective is to protect 30% of Wake County’s land area (or roughly 165,000 acres) as permanent open space. The Open Space Program protects land as open space in two primary ways: Wake County purchases parcels of land and conservation easements in targeted conservation areas and awards matching funds to partnering organizations so they can purchase land and conservation easements. Blue Ridge Forever is a campaign led by 13 land conservation organizations to engage the public and raise financial resources to safeguard land and water in the southern Blue Ridge mountains for present and future generations. Blue Ridge Forever has a five-year goal to protect 50,000 acres in Western North Carolina. Our region-wide Conservation Vision guides us in connecting protected lands on a landscape scale with attention to places containing important wildlife habitat, water quality, cultural and economic significance, and scenic value. "CONNECT Our Future" is a process in which communities, counties, businesses, educators, nonprofits and other organizations work together to grow jobs and the economy, improve quality of life, and control the cost of government. This project will create a regional growth framework developed through extensive community engagement and built on what communities identify as existing conditions, future plans and needs, and potential strategies. It is supported by a $4.9 million HUD Sustainable Communities Grant and $3 million in local in-kind public and private matching resources. The CONNECT Our Future three-year process will engage public, private and nonprofit organizations across the 14-county region (PDF). It is based on, and builds from, the region's CONNECT vision. CONNECT Our Future is guided by the following core values. These values were generated by extensive community input and adopted by the majority of jurisdictions within the 14-county region. The Western North Carolina Vitality Index reports on the 27 counties of Western North Carolina through the perspectives of the region’s natural, social, built, and economic environments. The index was designed to assist local governments, interest groups, and the public in furtherance of the Mountain Resources Commission's overall mission to "take care of our natural resources to enhance and sustain quality of life and ensure the long term health of our region and our people." Preserve the heritage and culture that defines western North Carolina communities while strengthening public health. Improve the region’s local economic activity and expand its influence. Promote development that accommodates healthy growth. Protect the region’s unique natural resources. Compare western North Carolina to the rest of the state and the nation. How Is the CPT Used? The North Carolina Natural Heritage Program is a program of the Division of Land and Water Stewardship within the North Carolina Department of Natural and Cultural Resources. The North Carolina Natural Heritage Program is a NatureServe Network Program.